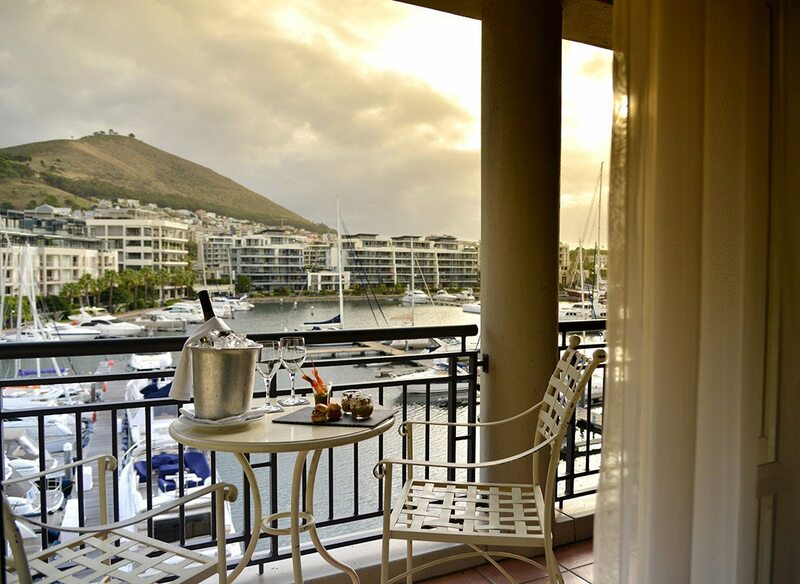 Set on a private quay at South Africa’s V&A waterfront, Cape Grace offers an elegant hotel experience that combines the history of the Cape with understated luxury. Enjoy private yacht charters, fine dining, spa treatments and wine tastings as well as a private chauffeur service and a host of nearby activities and excursions. We sit on our balcony, looking out over the bustling marina, which is dotted with pleasure yachts, the working harbour off to the side. 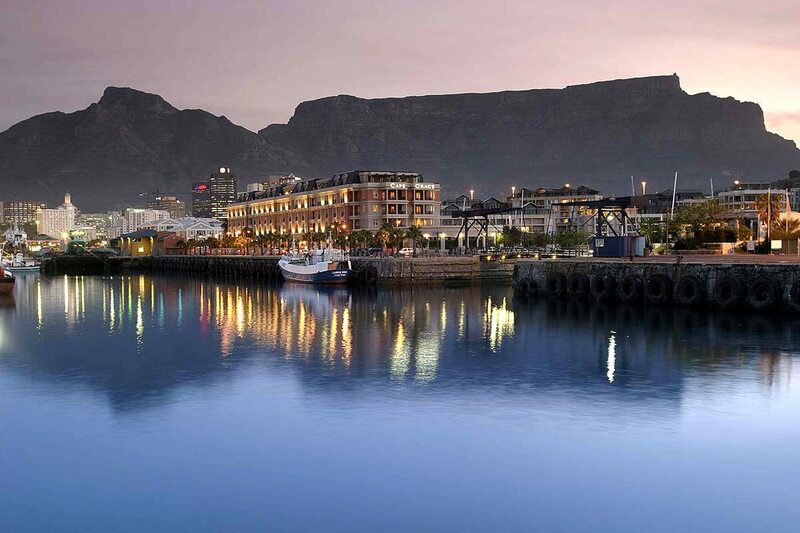 We’re at Cape Grace, a luxury South African hotel set on its own quay just a bridge away from Cape Town‘s V&A Waterfront.As various boats come in and out of the marina, we watch crowds of tourists and locals ebb and flow into the shopping mecca, as constant as the ocean’s tides. We sit on our balcony, looking out over the bustling marina, which is dotted with pleasure yachts, the working harbour off to the side. We’re at Cape Grace, a luxury South African hotel set on its own quay just a bridge away from Cape Town‘s V&A Waterfront. As various boats come in and out of the marina, we watch crowds of tourists and locals ebb and flow into the shopping mecca, as constant as the ocean’s tides. The first stirrings of hunger bring us indoors to our suite to change, where we can appreciate the same maritime views through the open French doors. With a silver-and-grey theme, our suite is elegant yet airy, retaining a distinctively naval feel due to its mix of antiques and authentic reproductions. I was told every suite is unique, and I find myself wondering if the rest are as lovely as ours. 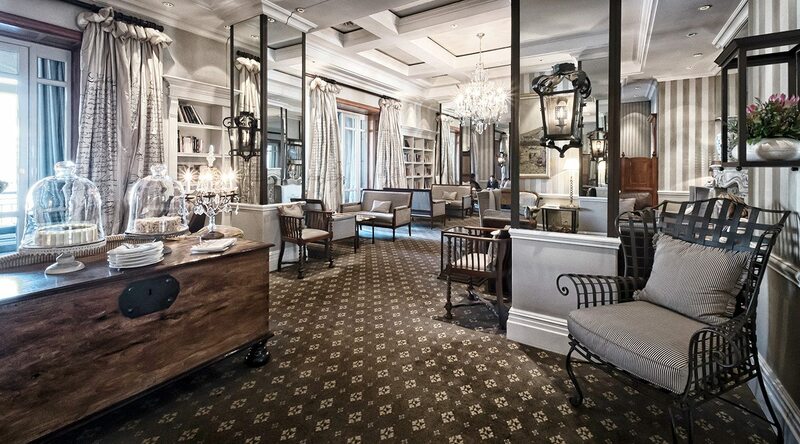 We venture out through the corridors, lobbies and landings of this large hotel, admiring the hand-painted murals displaying scenes of Cape Town’s history, along with various restored antiques and treasures that might have washed up on the country’s famous shipwreck-dotted coast. Tomorrow, we’ll be diving some of these wrecks along the Cape Peninsula. 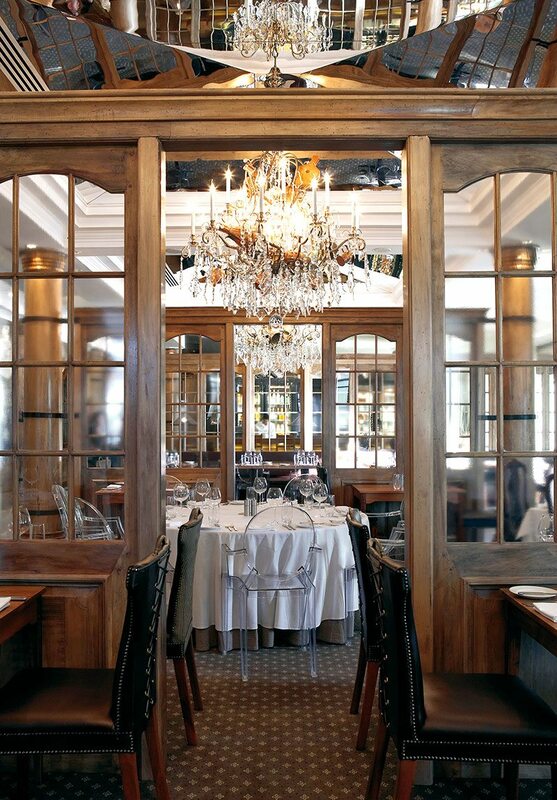 But first, we dine in style at Cape Grace’s Signal Restaurant, tasting some of the fresh, local cuisine and innovative flavours that have influenced the Cape’s colourful culinary past. The view of Table Mountain from our table is breathtaking – we watch in fascination as a cloth of cloud drifts over its edge. The food is as delicious as advertised, a gourmet indulgence that we’re eager to repeat. 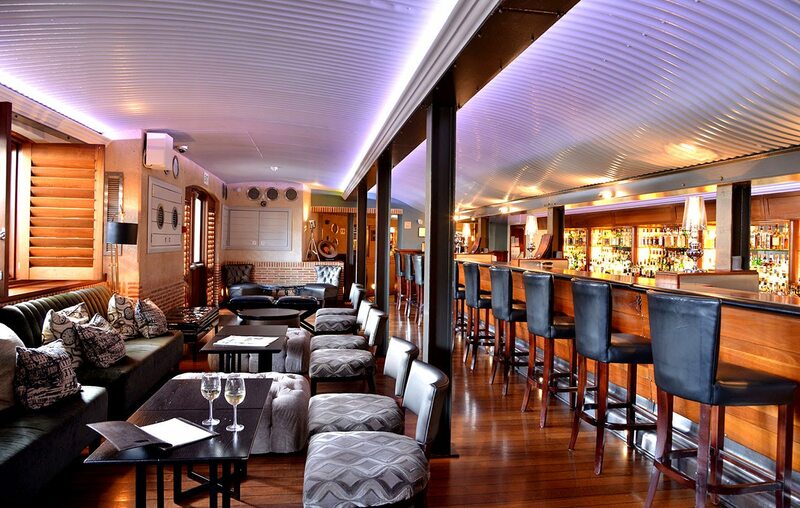 We have just enough time to head to the hotel’s Bascule Bar to try one of the 500-odd whiskies it’s famed for before we set off on the Spirit of the Cape, a luxury yacht available exclusively to guests. As we sail along the Atlantic Seaboard, washing oysters down with bubbly on the teak deck, we feel the extravagance of complete freedom, unable to conceive the many wonders tomorrow may hold. The first stirrings of hunger bring us indoors to our suite to change, where we can appreciate the same maritime views through the open French doors. 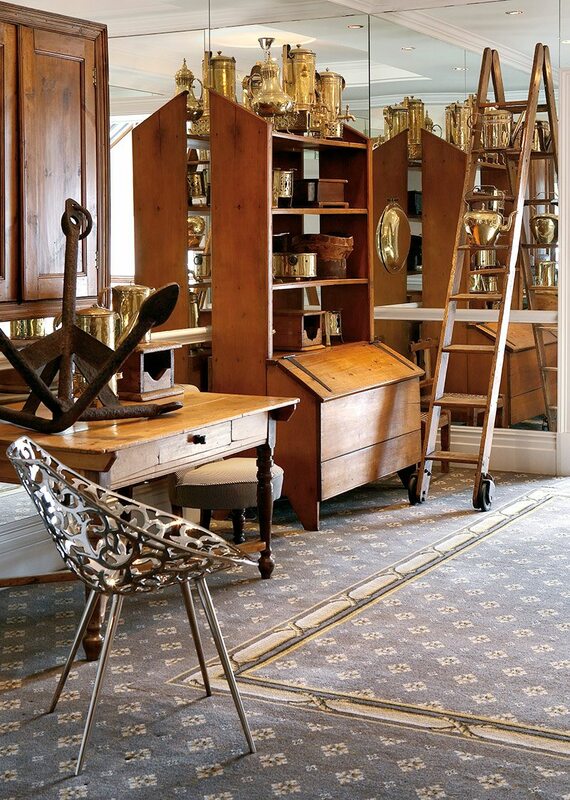 With a silver-and-grey theme, our suite is elegant yet airy, retaining a distinctively naval feel due to its mix of antiques and authentic reproductions. I was told every suite is unique, and I find myself wondering if the rest are as lovely as ours. 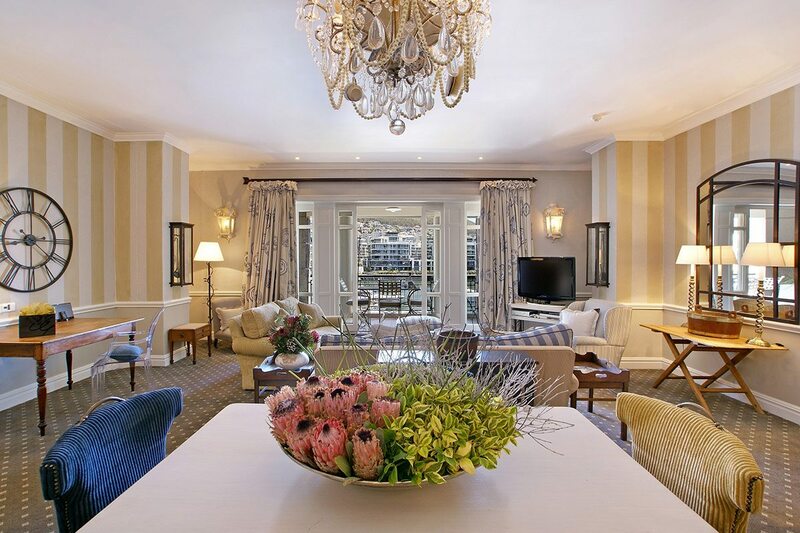 We venture out through the corridors, lobbies and landings of this large hotel, admiring the hand-painted murals displaying scenes of Cape Town’s history, along with various restored antiques and treasures that might have washed up on the country’s famous shipwreck-dotted coast. Tomorrow, we’ll be diving some of these wrecks along the Cape Peninsula. 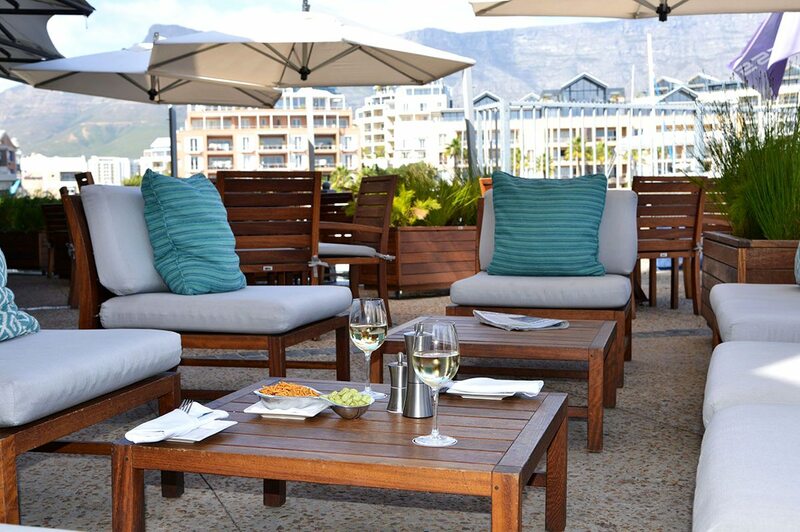 But first, we dine in style at Cape Grace’s Signal Restaurant, tasting some of the fresh, local cuisine and innovative flavours that have influenced the Cape’s colourful culinary past. The view of Table Mountain from our table is breathtaking – we watch in fascination as a cloth of cloud drifts over its edge. The food is as delicious as advertised, a gourmet indulgence that we’re eager to repeat. 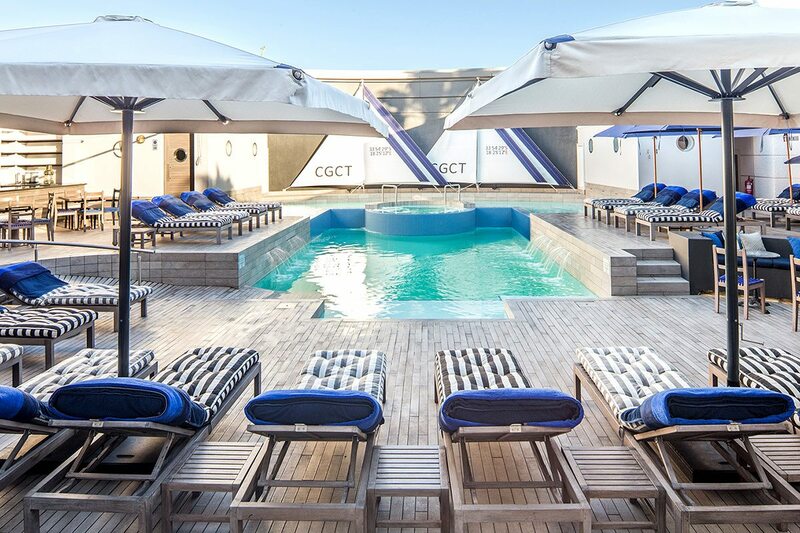 We have just enough time to head to the hotel’s Bascule Bar to try one of the 500-odd whiskies it’s famed for before we set off on the Spirit of the Cape, a luxury yacht available exclusively to guests. As we sail along the Atlantic Seaboard, washing oysters down with bubbly on the teak deck, we feel the extravagance of complete freedom, unable to conceive the many wonders tomorrow may hold. 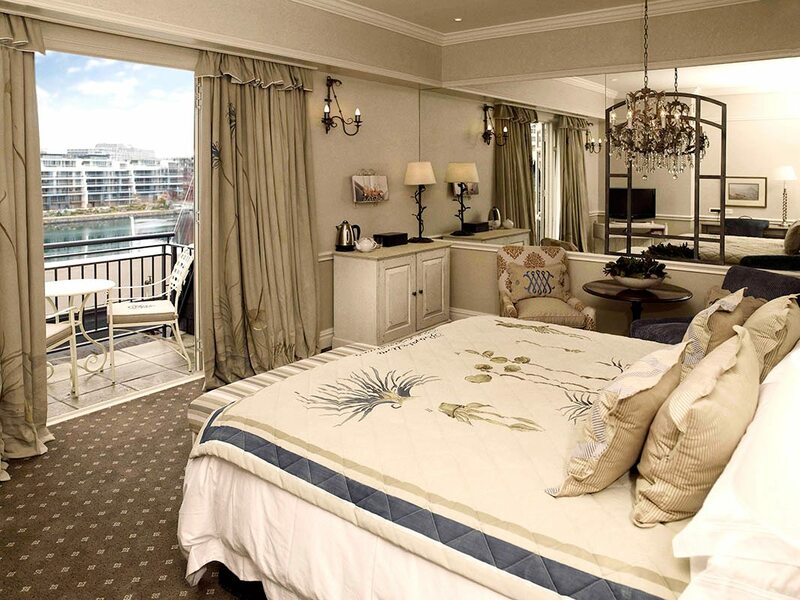 At Cape Grace, the service is exceptional: city orientation, recommendations, bookings and wine tastings are no trouble at all; there’s a chauffeur to drive us anywhere within 10km of the hotel; and we can use the hotel’s luxury yacht. I’ve also been amazed – in such a large hotel – at how many of the staff greet me by name.I particularly love the local flavours here, not just in the food but at the spa too, where the massages use indigenous, naturally-harvested botanical oils from the Kalahari. 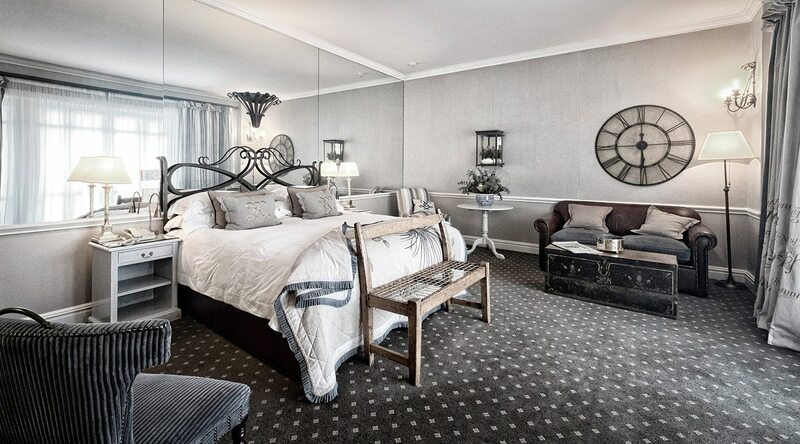 The stunning maritime scenes, combined with the unique decor at Cape Grace – from historical artefacts and treasures to the handwritten stories featured on the hotel’s chairs and curtains – result in a strong sense of history, one that merges effortlessly with its modern yet understated luxury. 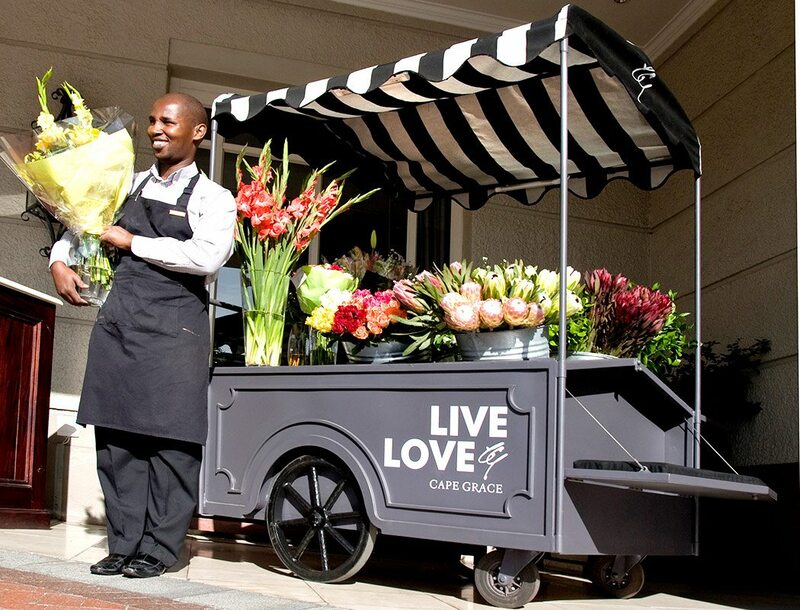 At Cape Grace, the service is exceptional: city orientation, recommendations, bookings and wine tastings are no trouble at all; there’s a chauffeur to drive us anywhere within 10km of the hotel; and we can use the hotel’s luxury yacht. I’ve also been amazed – in such a large hotel – at how many of the staff greet me by name. I particularly love the local flavours here, not just in the food but at the spa too, where the massages use indigenous, naturally-harvested botanical oils from the Kalahari. 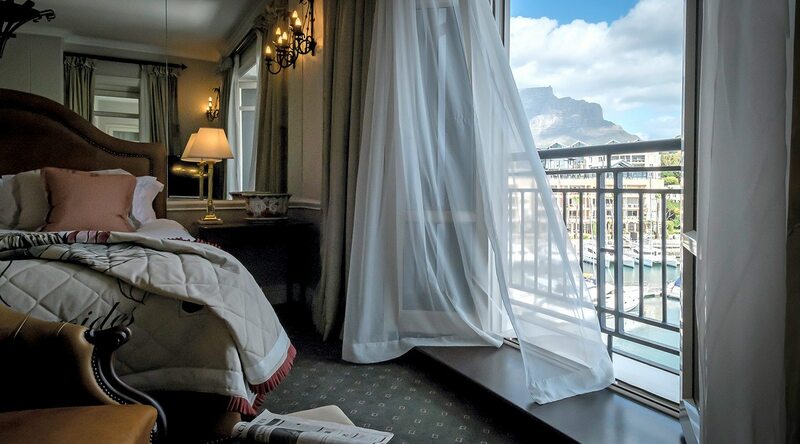 The stunning maritime scenes, combined with the unique decor at Cape Grace – from historical artefacts and treasures to the handwritten stories featured on the hotel’s chairs and curtains – result in a strong sense of history, one that merges effortlessly with its modern yet understated luxury. Elegant hotel with spa, fitness studio, heated outdoor swimming pool, private guest library, restaurant and bar. There are 120 rooms and suites, including two penthouse suites. Private dining, concierge service, chauffeur service and flexible schedules. 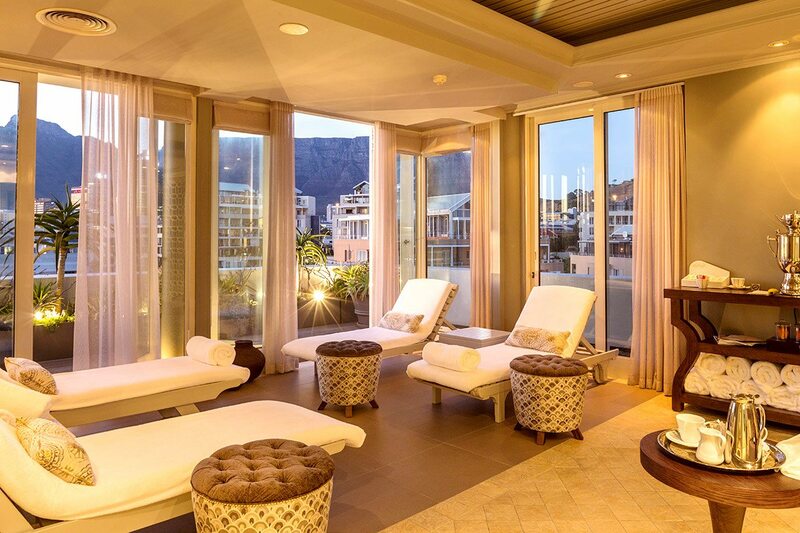 Swimming, spa treatments (additional cost), fitness studio, Cape wine experience, yacht cruises (additional cost), city excursions (additional cost) and various off-site experiences (additional cost). Children are welcome, with a variety of complimentary activities and services offered. Babysitting available (additional cost).